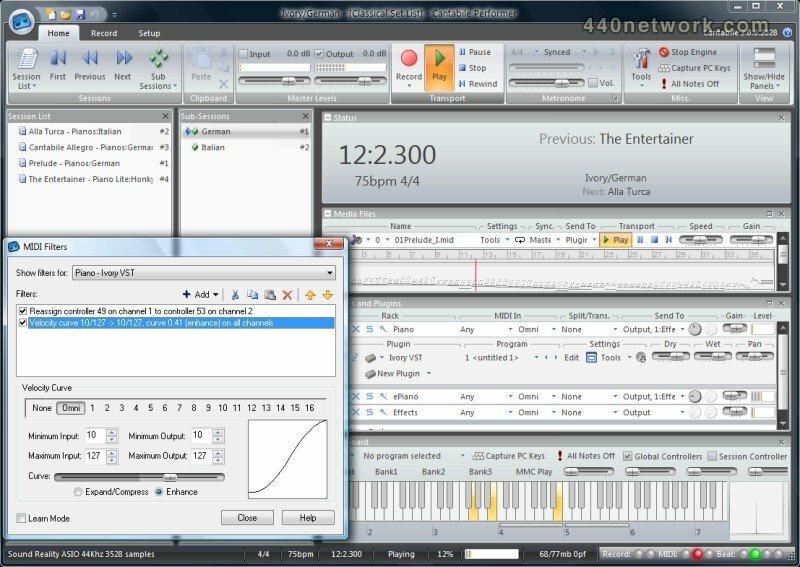 Cantabile is a simple, easy to use VST host, MIDI recorder/sequencer and audio recorder. 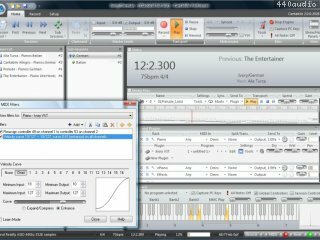 Designed primarily for real-time playing of virtual instruments and effects, Cantabile includes a highly optimized audio engine to minimize system load and reduce audio drop outs. * Fixed - crash in midi-in sys-ex on x64 build. * New - Cantabile Solo now has offline render capability. * Fixed - incorrect handling of the run minimized/maximized settings in Windows Explorer shortcut to launch Cantabile. * Improved - split sub-session button drop down. Top half shows sub-session dock panel. * Improved - "session lists" renamed to "set lists"